Nanoemulsion based drug products are used for target specific drug delivery as they provide increased bioavailability on the drug molecule at the target site. Nanoemulsion can be used for various applications in treating patients suffering from various disorders such as chronic. Nanoemulsion have been primarily classified into drug class segments: Steroids, Anesthetics, NSAIDs, Immunosuppressant, Antiretroviral, Antimicrobials, Vasodilators, and Others. Increasing prevalence of kidney diseases, growing prevalence of chronic diseases, increasing development of vaccines, and technological advancements along with aging population, high demand for minimally invasive procedures are few factors contributing to the growth of the market. 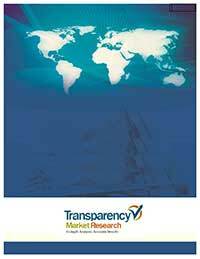 The report comprises of an executive summary which delivers information about the nanoemulsion, its segments with market snapshot and comparative analysis by geography, in terms of revenue %, for 2016. A detailed overview of market dynamics, including the drivers, restraints, and opportunities of the Nanoemulsion market, along with porter’s analysis, pest analysis value chain analysis, of the global market, has been provided in this report. Market revenue analysis for all the above mentioned segments has been provided for the forecast period of 2017-2025, considering 2016 as the base year, and 2015 as the historical year, along with compound annual growth rate (CAGR %), for the forecast period of 2017-2025. Market share estimations were based on in-depth analysis and study of products, and their features etc. This report provides in-depth analysis of the Nanoemulsion market. The stakeholders for this report include companies involved in the manufacturing of Nanoemulsion. Executive summary section is included snapshot on stakeholders in this report, which summarizes the market size, trends and competition in different regions. Market players and Market share analysis is analyzed to signify percentage share of the major players operating in the Nanoemulsion market. Furthermore, the report includes market attractiveness analysis by geography that depicts the most attractive and significant region in the global market in 2016. Based on drug type, the Nanoemulsion market has been segmented into Steroids, Anesthetics, NSAIDs, Immunosuppressant, Antiretroviral, Antimicrobials, Vasodilators, and Others. NSAID drug class is growing at a CAGR of 9.8% from 2017 to 2025 due to increasing use in topical formulation. Based on Route of Administration the Nano emulsion market has been segmented into Topical, Oral, Parenteral, Nasal, Others. Based on Distribution channel Nanoemulsion market has been segmented into Hospital pharmacies, Retail pharmacies, and E-commerce. Based on geography, the market is segmented into North America, Europe, Asia Pacific, Latin America, and Middle East & Africa. The regions are further segmented into major countries which include, U.S., Canada, Germany, U.K., France, Italy, and Spain, rest of Europe, China, Japan, India, Australia, Rest of Asia Pacific, Brazil, Mexico, Rest of Latin America, Saudi Arabia, South Africa, and Rest of Middle East & Africa. The report also comprises list of major players in the market, their SWOT analysis, market share of these players in the Nanoemulsion market, key business strategies, product portfolios, and recent developments. Key market players profiled in this report include, Allergan plc. , AbbVie Inc., AstraZeneca Inc., Fresenius Kabi AG, Kaken Pharmaceutical Co., Ltd., Mitsubishi Tanabe Pharma Corporation, GlaxoSmithKline plc., Novartis AG, Sanofi, and B. Braun Melsungen AG.